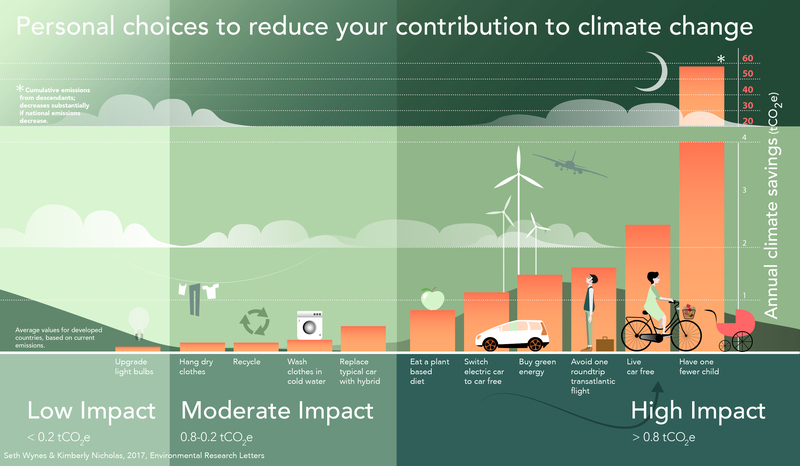 Facing climate change can seem overwhelming, but the choices we each make have a huge impact. Supporting clean power over fossil fuels is not only great for the planet, it’s also great for your bottom line. Check out this graphic on the best actions you can take. What can I do to make the biggest difference? 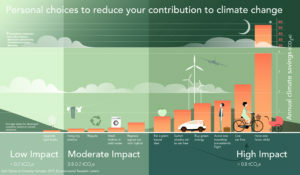 The study behind this graphic addresses how we perceive the environmental impact of our habits. Choices that get a lot of buzz as environmentally friendly are not necessarily as impactful as you’d hope. In their peer reviewed study “The climate mitigation gap: education and government recommendations miss the most effective individual actions,” Seth Wynes and Kimberly Nicholas analyze what widely applicable changes individuals can make to offset the most carbon. They found that while things like recycling, changing light bulbs, or switching to hybrids get a lot of coverage, there are far more impactful things we can do. For example, they found that eating a plant based diet is four times more effective than comprehensive recycling, and eight times more effective than changing out a home’s light bulbs. Their top four impactful decisions included having one less child, living car free, avoiding one transatlantic flight, and switching a household to clean energy. However, when compared to recommendations in textbooks and government papers, these changes were mentioned much less frequently than things like recycling, conserving water, and looking at home efficiency improvements. The study stressed that getting the facts out to well-meaning consumers, especially in developed areas with high carbon footprints, is crucial to mitigating climate change. While some of the recommendations are difficult to fully implement, clean power is one choice that has become increasingly accessible. Flying or driving might be unavoidable where you live or with the your job, and having children is a very personal decision. But supporting clean power is easy. You’re already buying electricity. 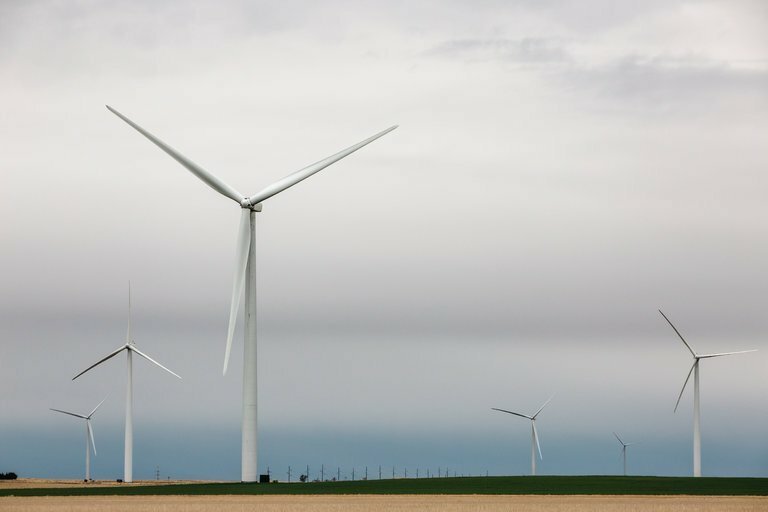 Why not vote with your dollars to support clean, local energy? At Relay Power we’ve helped hundreds of Massachusetts residents save money and help the environment by educating them on the clean power offerings available to them and helping them choose the best fit. But most utilities are still only doing what governments have required of them.” Luckily, we can still help promote building more and more clean power units and help drive the cost down further. “…Lamon believed that low-cost solar would continue to serve as a more affordable energy source than coal and often natural gas no matter what came policy emerged from the White House. Indeed, that’s why he began building solar power plants in the first place. 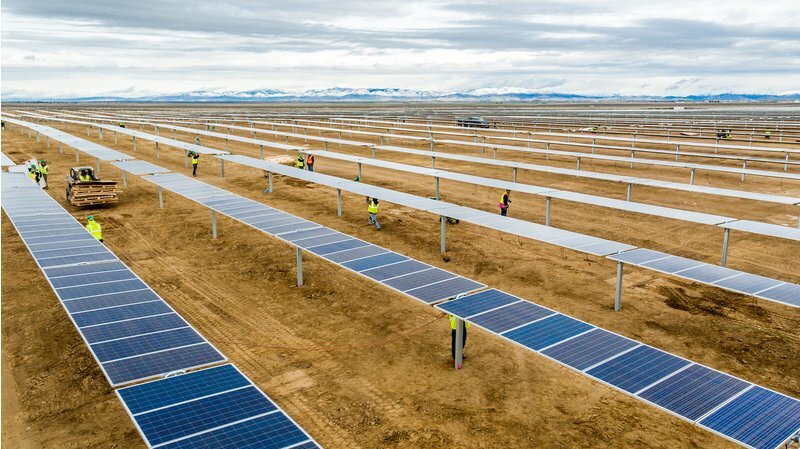 Without subsidies, electricity from large-scale solar power plants currently costs about a third the cost of coal and is about even with natural gas, according to data from the financial advisory firm Lazard. It’s even cheaper with subsidies.” the article continues. 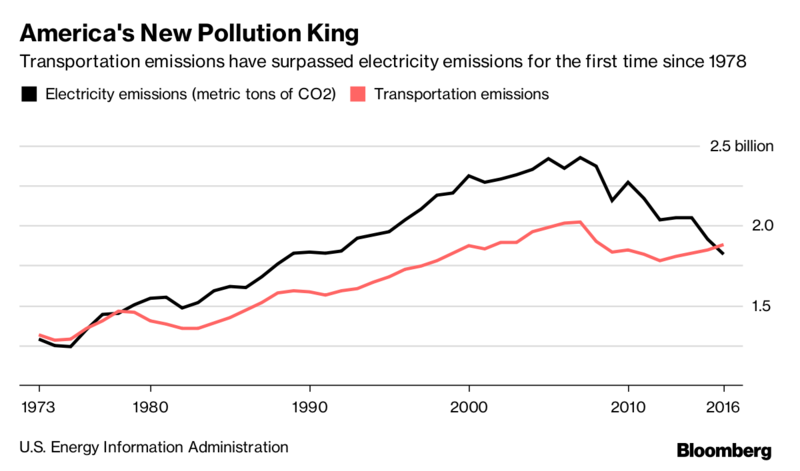 According to Bloomberg and the U.S. Energy Information Administration and thanks in large part to the displacement of coal for cleaner natural gas, wind and solar power, the American electric power industry’s CO2 emissions have fallen to levels not seen since about 1990. The Political Clean Power Action is Moving! The political clean power action is moving from the federal to the state and local level. Massachusetts residents can contact their state reps and senators and tell them to support raising the net metering caps to keep Massachusetts economy moving forward in the right direction. To find your elected representatives contact info, go to this link.